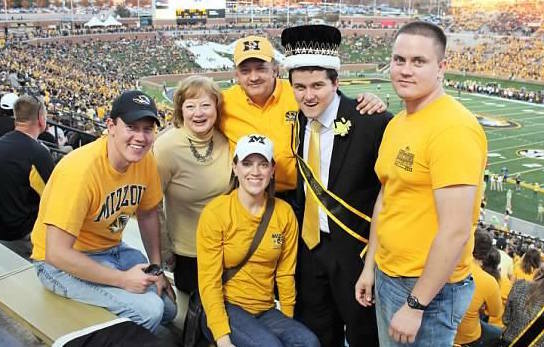 The University of Missouri is home to one of the most dynamic Greek communities in the United States. Currently our community represents 27% of the total undergraduate population of students with 7,500 students at Mizzou affiliated with 55 social Greek letter organizations. Membership provides students with guidance during the transition process and adaptation to the scholastic and social challenges posed by life at a large university. Many members express a sense of connection with members of their organization as well as others outside of the Greek community. In addition to finding a home away from home, our members gain valuable leadership skills, raise money for charities, volunteer countless hours of service, and frequently exceed the all campus average GPA. Students involved in Greek organizations have many opportunities to showcase their hidden talents as well. Whether it’s dancing, singing, stepping, intramural sports, planning major events, or engaging in social initiatives, students involved in fraternities and sororities have plenty of opportunities to explore their extracurricular talents and develop leadership skills that will further enhance their collegiate experience. Please see the Greek Statistics page for information about records regarding membership, grades, and conduct, or the Parent FAQ page to learn more about the role of a parent/supporter in Fraternity & Sorority Life.